Welcome India, You will be received by Premium India Tours representative at international airport and assisted to your hotel. In the Hotel you will have a brief description of your tour and the representative will hand over your documents regarding the tour, overnight at hotel. After breakfast take sightseeing tour of historic city visiting Old Delhi visiting the majestic Red Fort, a marvel in red sandstone, Jama Masjid, the largest mosque in India, both built by emperor Shah Jahan of Taj Mahal fame, Rajghat - memorial of Mahatma Gandhi & a Rickshaw ride past through the silver street in Chandani Chowk, the city tour continues covering New Delhi, visiting Rashtrapati Bhawan, one-time imperial residence of the British viceroys; the India Gate, a memorial raised in honour of the Indian soldiers martyred during the Afghan war; the Laxmi Narayan Temple, built by the Birlas, one of India’s leading industrial families; Humayun’s Tomb, lotus shaped Bhai’s Temple , Qutub Minar , built by Qutub-ud-din Aibek of the Slave Dynasty; in the evening you can visit see speculative Light and Sound Show at Red Fort. Overnight at hotel. Breakfast at Hotel, drive to Jaipur, on arrival check into the hotel. Afternoon, enjoy the city atmosphere. See the sights of the Pink City of Jaipur. Rest of the day at leisure, in the evening hours enjoy walking in the colorful streets and bazaars of Jaipur City. The beauty of Jaipur is that its unique architecture and town planning is visible at even the most common places such as its squares and lanes. Overnight at Hotel. After a leisurely breakfast, visit the majestic Amber Fort, is one that cannot be easily described. Ride up on Elephants to the former capital of the royal set against the backdrop of the wooded hills. Later visit the Palace of Winds also known as Hawa Mahal, this elaborate building, now little more than a façade, is encrusted with delicate screen sand carved balconies from which the royal ladies, confined to their quarters, could sneak views of the outside world. Past, present and future merge at Jai Singh's observatory, where time has been accurately measured since the 17th century. Evening enjoy dinner at Chokhi dani (an ethnic village resort) where you will have an idea of the village life of Rajasthan here you will also enjoy various traditional Rajasthani dances, puppet show and various other interesting activities. Overnight at hotel. Breakfast at hotel and later drive to Ranthambore National Park. This journey is over very good roads, through rural Rajasthan and would take about 3 hours. Upon arrival check into the hotel. Afternoon enjoy a safari ride in the park and see the majestic Tiger in the dense scrub jungle of Ranthambore. Overnight at hotel. Enjoy morning and evening Safari. Ranthambore National Park with an area of 400 sq. km encompassing rocky hill crests which descend to open valleys between the Aravalli and Vindhya ranges, dotted with water pools and fruit trees, this park gets its name from the thousand year old fortress, which looms above the forest. Well known for the diurnal activity of tigers, Ranthambore is a very special and unusual area where a natural present meets a historical past. Sambar, cheetal, chinkara, nilgai and languor. The elusive leopard and tigers are found in this reserve with tourists standing a very good chance of seeing tigers during the day. Dotted across the landscape are the crumbling ruins of its past glory, be it chatris or cupolas, like palaces or old guard posts, all of which reinforce the magical and ethereal quality of this great wilderness. (The Park is closed from 01 July till 30 September.) Overnight at Hotel. In the morning drive to Agra en route visit the Bharatpur Keoladeo Ghana Bird Sanctuary by cycle rickshaws (the rickshaw drivers are all very capable naturalists). Later drive to Agra en route visiting Fatehpur Sikri (12 kms) Fatehpur Sikri - This exquisite city built by Akbar the Great in 1569, in red sandstone, with its forts, palaces and mosques was abandoned 14 years after its creation due to political reasons. The Diwan-i-am - a vast courtyard in which the emperor gave daily public audience; Diwan-i-khas - a large quadrangle which contained all the major functions of the Palace, Pachisi court, the Emperors private living quarter, Jodha Bhai’s Palace, Mariam’s Palace, Birbal’s Palace, Hawa Mahal and Panch Mahal are some of the important buildings of this residential complex. The Friday Mosque and the exquisite tomb of Sheik Salim Chisti are in the religious grounds set aside in a separate enclosure adjacent to the secular buildings. Continue drive to Agra after visiting Fatehpur Sikri (49 kms). On arrival, check in to the hotel. Rest of the day at leisure. Overnight at Hotel. In the early morning visit Taj Mahal with Rising Sun bather in Golden Rays. Taj Mahal, the architectural modern day wonder of the world; this monument is a fine example of the fusion of many architectural styles is one of the wonders of the modern world. Taj, endowed it with some of the loveliest buildings in the world. Drive back to Hotel for breakfast and later enjoy sightseeing tour including visit to the Agra Fort from where one can get the most moving view of the Taj from the little octagonal tower in the Agra Fort which lies across the river Jamuna, followed by visit to Pearl Mosque and the Tomb of Itamad-ud-Daula built by Empress Noorjehan in memory of her father. In the evening you may visit to the souvenirs market of Agra, one should visit Oswal Emporium where they have built a Mini Taj Mahal inside their showroom and it took 10 years for the artists to complete the mini replica of the Taj. The show room conducts free sound & light show showing the eras of Taj Mahal. Later in the day drive to Gwalior. On arrival check in hotel. Rest of the day at leisure. Overnight at Hotel. Leisure breakfast at Hotel, later in the day enjoy full day city tour covering Teli Ka Mandir - the Indo-Aryan architectural beauty, Sas Bahu Temple - the amazing temple, Man Singh Palace - a delightfully whimsical building, Jai Vilas Palace & Museum - piece de resistance. Overnight at Hotel. 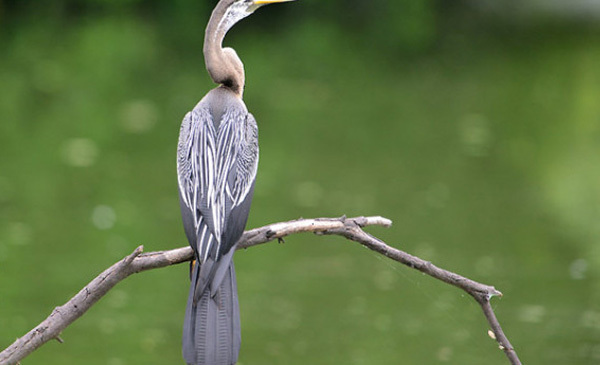 Travel to Orchha enroute visiting Karera Bird Sanctuary and see many native and migratory birds in this nature reserve. On arrival check into the hotel. Spent some time to relax and then later in the day enjoy sight seeing in Orchha, in the evening enjoy Sunset by sitting close to the river Betwa, overnight at hotel. After breakfast, you can make a few hours visit to Orchha and then continue driving to Khajuraho, on arrival at Khajuraho enjoy your visit at world famous Khajuraho temples. These Temples were built by the Chandelas between 950 AD & 1050 AD. The important ones are Chaunset Yogini Kali Temple, the Mahadev Temple, Chitragupta or Bharatji Temple with a lovely image of 11 headed Vishnu, Vishvanath & Nandi Temples, Lakshmana Temple, Visha Temple of Shiva, which is the largest & most typical of temples. Visit the Eastern group of Temples. Parasvanath Temple is the only existing Jain Temple at Khajuraho and has excellent sculptures on the outer walls of the Sanctum. The Javeri Temple is dedicated to Vishnu. The other temples in this group are those dedicated to Brahma, Yamuna and Adinath. Overnight at Hotel. Breakfast at Hotel, drive to Bandhavgarh. On arrival check in into Hotel. Afternoon Game viewing. The density of the tiger population at Bandhavgarh is relatively high. The possibility of spotting Sloth Bear, Wild Boar, Leopard and Tiger is very good. The park is also densely populated with animals like the Chital (Spotted Deer), Sambar, Barking Deer, Nilgai (Blue Bull), Chowsingha (Four Horned Antelope) and is rich in bird life. [The Park is closed from 01 July till 30 September. The terrain is rocky, rising sharply from the swampy and densely forested valley. The finest of these hills is Bhadhavgarh, which is bounded by great cliffs and eroded rocks. The Bandhavgarh Fort, believed to be 2000 years old, stands at the highest point. There is a temple at the fort that can be visited by jeeps. Scattered throughout the park, particularly around the fort, are numerous caves containing shrines with ancient Sanskrit inscriptions. The ramparts of the fort provide a home for vultures, blue rock thrushes and crag martins. Lunch at the Hotel and visit the sanctuary by Jeep with an English-speaking Naturalist. Overnight at Hotel. Morning till evening, see the wild life on a jeep safari or an elephant safari. Also visit the fort said to have been built by Lord Rama, the hero of the great Indian epic Ramayana. You can see tigers, elephants, deer, leopards and other animals and birds in Bandhavgarh. Overnight at Hotel. Breakfast at Hotel, drive to Kanha. On arrival check into the Hotel. Evening game viewing at Kanha National Park. Situated in the Indian state of Madhya Pradesh, the picturesque Kanha National Park was the inspiration behind Rudyard Kipling's unforgettable classic Jungle Book. The romance of the Kanha National Park has not reduced over time-it is still as beautiful. Kanha National Park encompasses nearly 2000 square kilometers of deciduous forest, savanna grassland, hills and gently meandering rivers - home to literally hundreds of species of animals and birds, including a stable population of tigers. Overnight at Hotel. Game viewing in the morning till evening. You can see tigers, elephants, deer, monkeys, and many other species of animals and birds in Kanha National Park. Overnight at Hotel. Breakfast at leisure, Enjoy morning park safari, later drive to Nagpur. Rest of the day at leisure. Enjoy exploring city as per your choice. Overnight at hotel. Breakfast at Hotel. Rest of the time at leisure, in time transfer to Airport for the flight to Delhi. On arrival meet and assistance. For the rest of the time you are free for your own activities. In time transfer to International Airport for your flight back to home.